When will the 2019 authors be announced and tickets go on sale? We are working hard to curate another season of fantastic author talks! Tickets will go on sale before Memorial Day Weekend, and as in past years the authors and their books will be announced prior (here, in-store, and through our e-newsletter) -in order to give guests time to plan their summer event attendance - so stay tuned! Tickets will be available through our website. Most people found that system much easier. Physical tickets will not be necessary as long as we have the names for your tickets, which will have a space to fill in at check-out. We can also accommodate store sales for those without internet access, so if you are searching here assisting someone who cannot purchase online, please call the store 508-945-0499 and we will arrange a private ticket sale. Yes! We are happy to continue facilitating waitlists. It is easier to handle online and we will have a form for both submitting extra tickets and for requesting tickets as they become available. We understand that life happens and don’t mind coordinating an exchange. Can I sit with an author? Probably! Seating is open seating, and first-come, first-served (unless you reserve with a group, explained below). Everyone has a different priority for seating, so we do not make a formal chart. (Some people prefer the window view, others like to be close to the podium, some prefer to sit with friends, and others take a chance at an open seat at an Author Table, etc.) Unlike other major author events, we do not seat the authors all together at the front of the room with the booksellers, but rather distribute them throughout the room to maximize reader and author interactions. Those tables are marked, and we have staff available to guide you to the table style that you prefer. Of course! We can easily set aside tables of 10 for book groups, and if you have a smaller quantity of guests you absolutely would like to sit together, there will be a space for that note at check-out. We can then combine the smaller groups into tables of 10, and ask that you understand that we will seat the authors at the open, first-come, first-serve tables. Back by popular demand will be our Book Lovers’ Table, since many avid readers come solo and enjoy the chance to meet other book lovers! There have been many heartwarming cases of new friendships being ignited at these luncheons, as well as wonderful surprise connections after decades apart. A Literary Luncheon ticket is comparable to fine dining dinner date, a night at the theater, a memorable concert, a comedy show - all rolled into one! 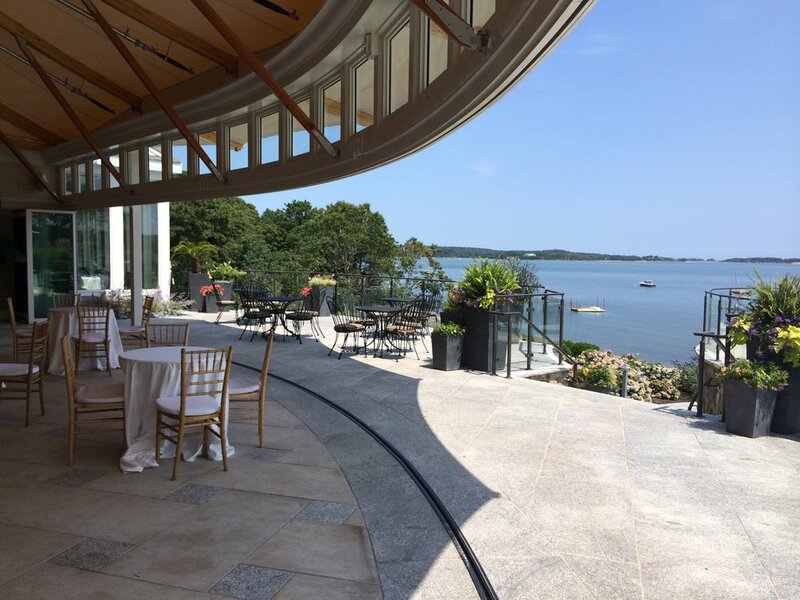 The $88 all-inclusive tickets include gourmet dining at Cape Cod’s only five-star resort (a buffet luncheon, coffee, tea, dessert), tax, tip, gratuity and all website and related event fees. How can I purchase the books? The featured titles and the authors’ backlist titles are offered for sale at the bookstore, online through our website for shipping, or free pickup at the bookstore or event, and also at the Author Signing Table at the event. We greatly appreciate your purchasing your books through us! Publishers ask for both anticipated book sale numbers and the final sales figures for each author. By choosing to purchase physical books through our indie bookstore, you help keep the Literary Luncheon Series attracting the high-caliber talent that have come over the years. Publishers are willing to send their authors to us because of your support and enthusiasm. Thank you!